literally, my entire apartment is on a slant. sinking in the middle, and then up on both sides… the wonders of living in an old brooklyn house. woohoo!! but honestly though, i love my new neighborhood and enjoy how close I am to NYC – slanting aside. 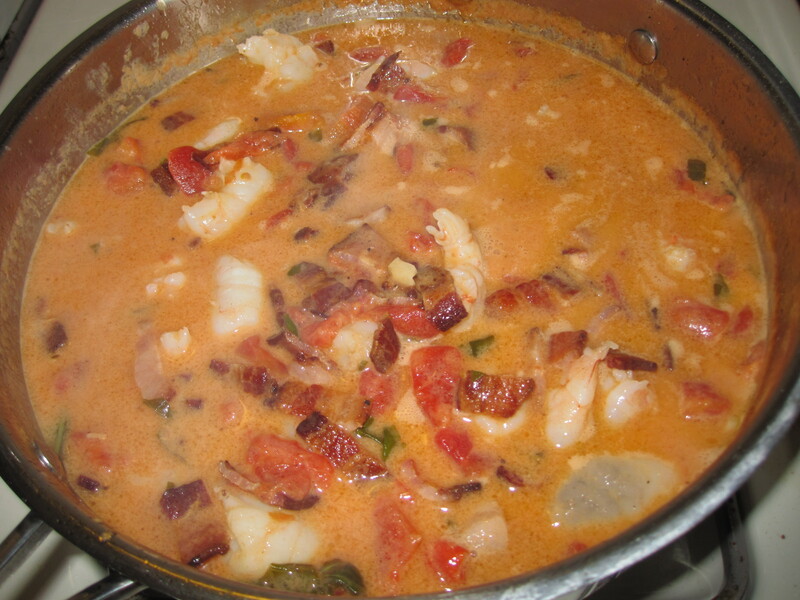 I wanted to make this Giada dish right before i left Florida, but because of the rush of us moving I decided to hold off – essentially this dish was supposed to be made with lobster but i skipped it (jobless girl problems) and just used shrimp. 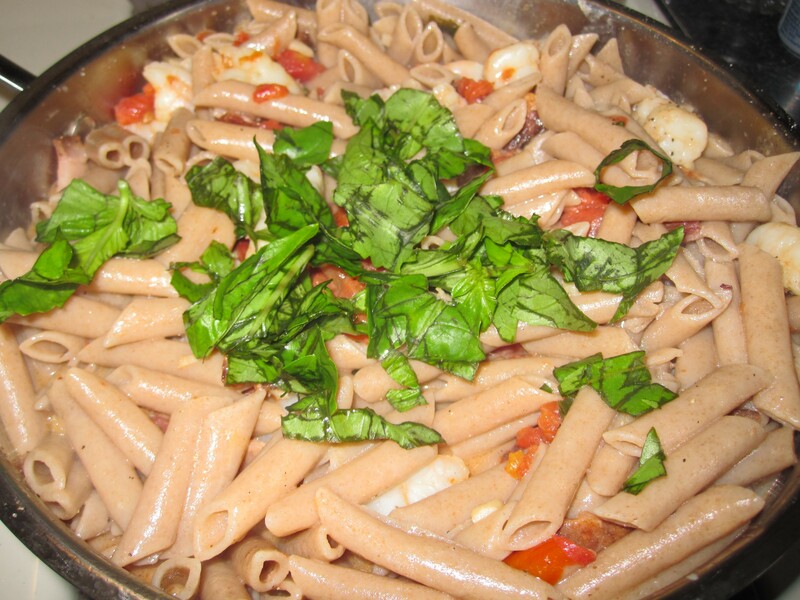 To start, prepare by chopping the fresh basil, making all the bacon, and chopping the garlic. 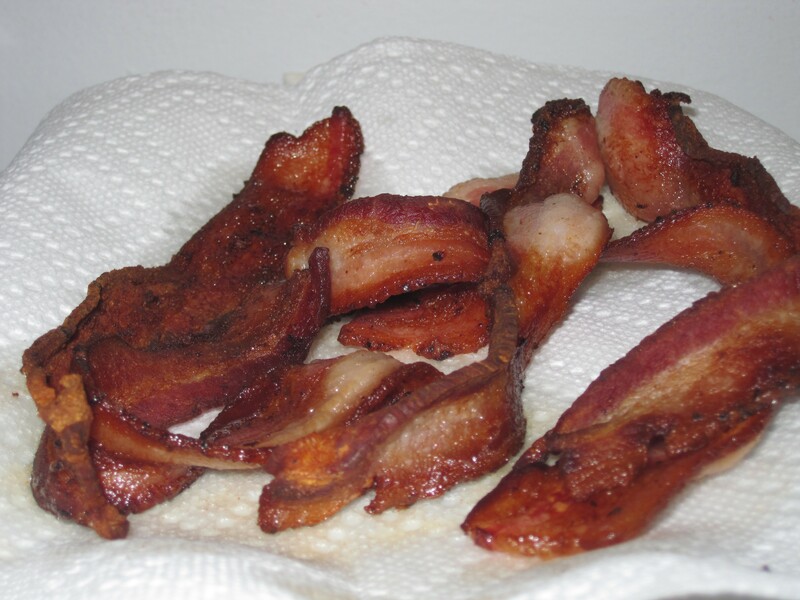 To make the bacon – in a large nonstick skillet, cook it over medium-high heat until brown and crispy, about 10 minutes. 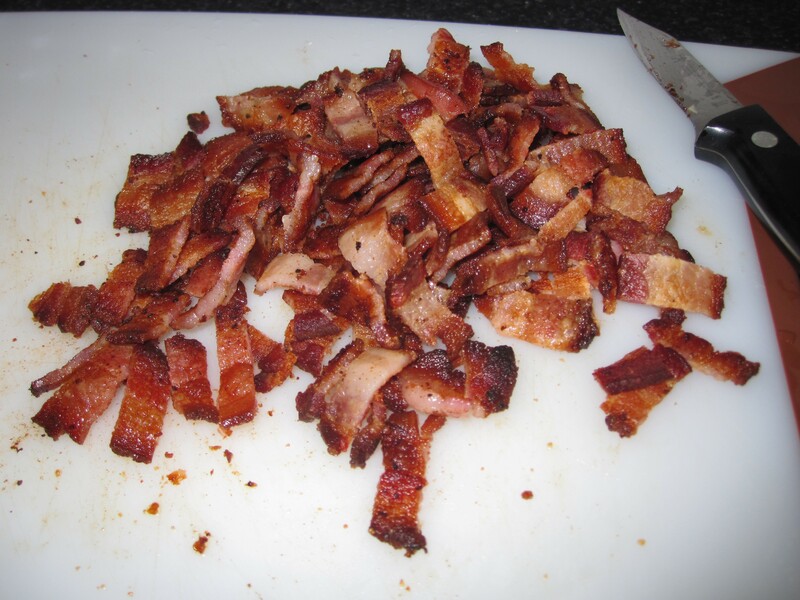 Remove the bacon and drain on paper towels. In the same skillet, add the garlic and cook until aromatic, about 30 seconds. 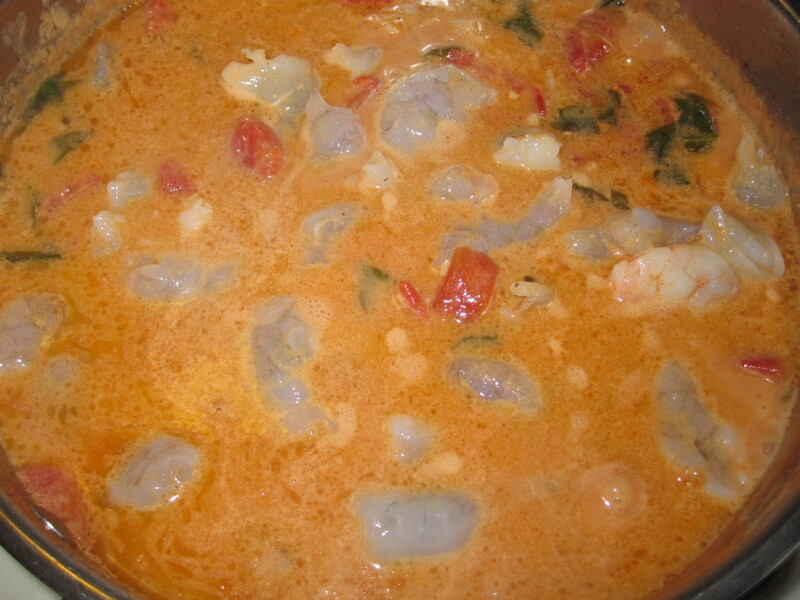 Add the tomatoes (and juices), clam juice, cream, 1/2 cup basil, 2 teaspoons salt and 1/2 teaspoon pepper. Bring to a boil and scrape up the browned bits from the bottom of the pan with a wooden spoon. 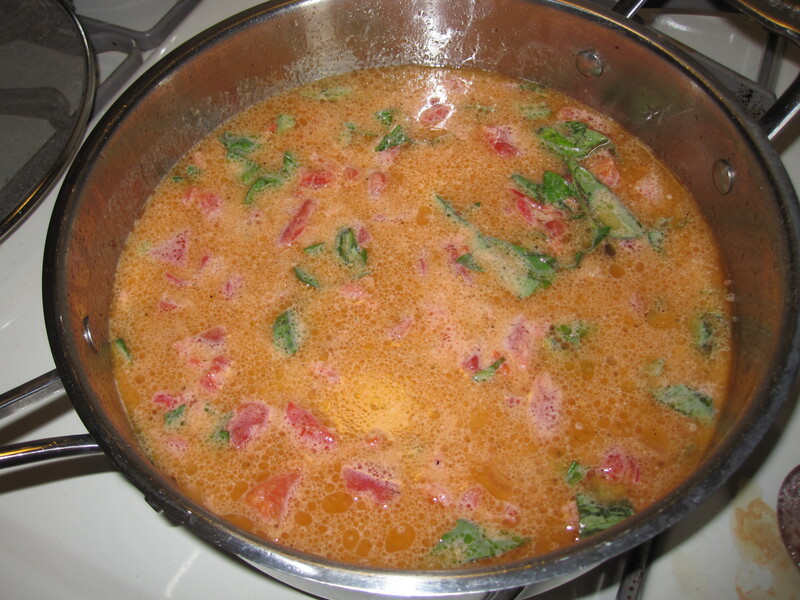 Reduce the heat to medium and simmer until slightly thickened, about 5 minutes. 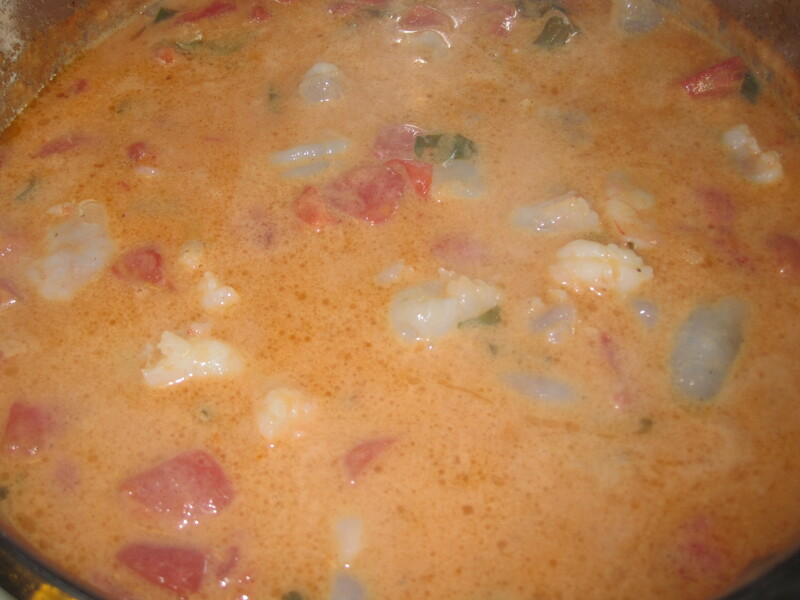 Add the shrimp and cook, stirring occasionally, until just cooked through, about 3 minutes. 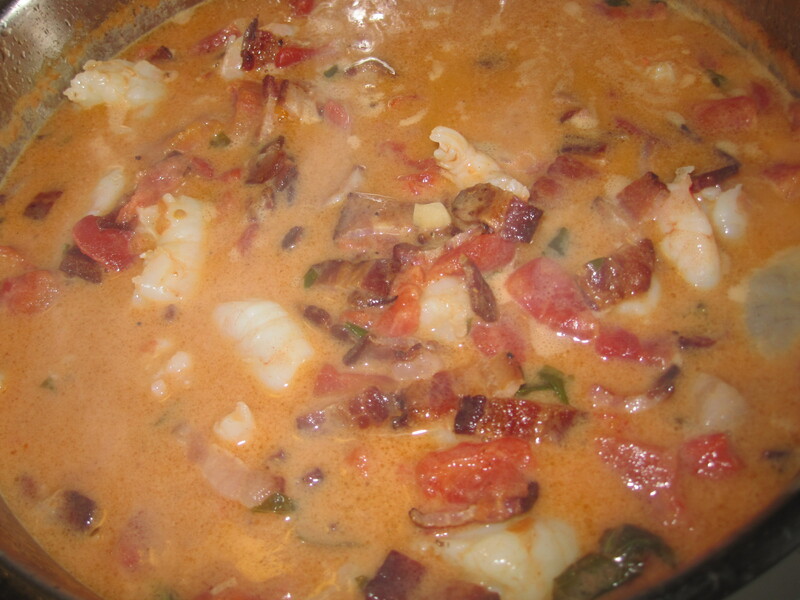 Add the lobster and bacon. 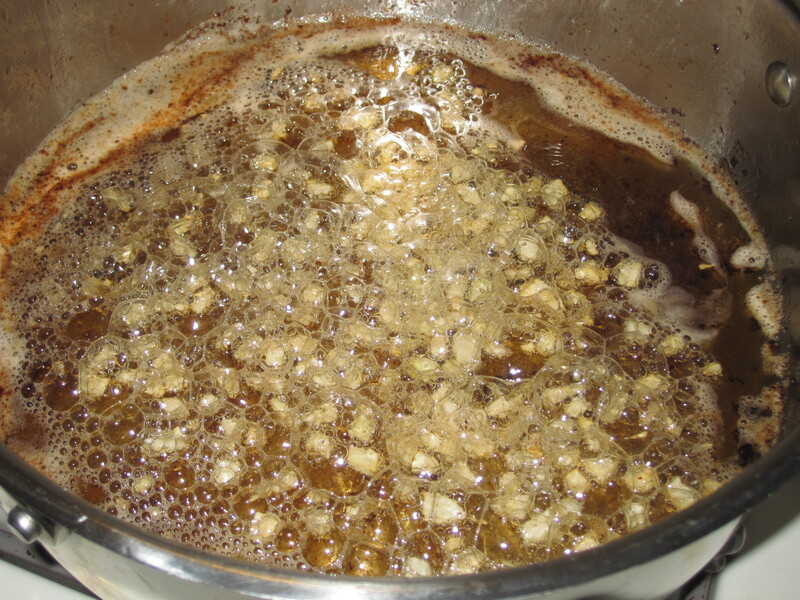 Simmer until warmed through, 1 to 2 minutes. *When the above half way done, bring a large pot of salted water to a boil. 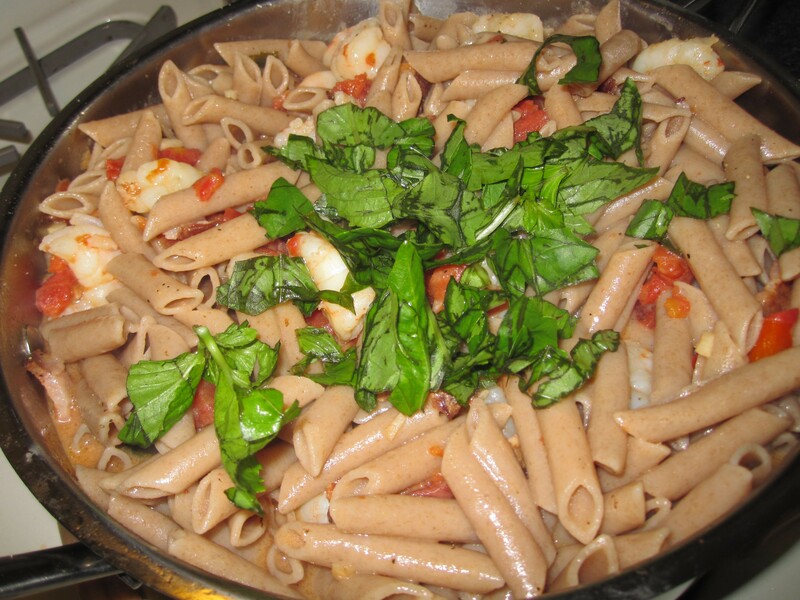 Add the pasta to the boiling water and cook, stirring occasionally, until tender but still firm to the bite, 10 to 12 minutes. 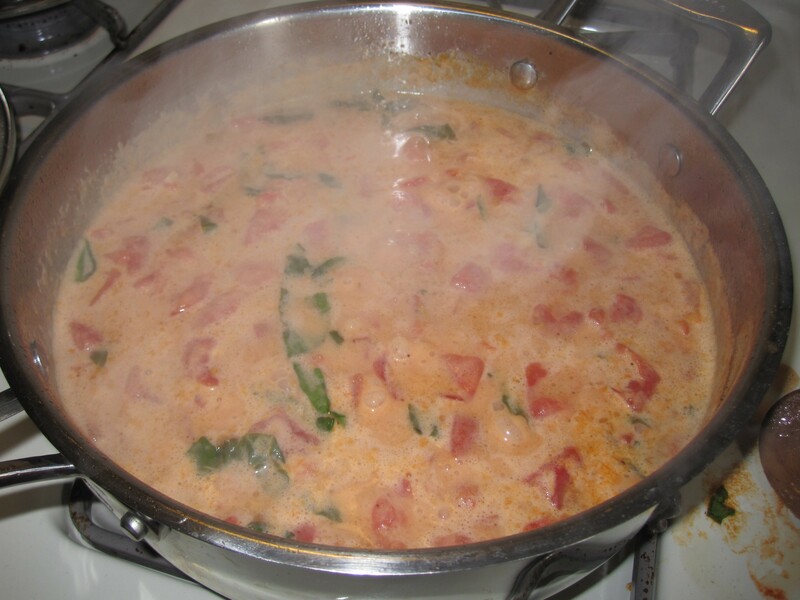 Pour the tomato mixture over the cooked pasta and toss until coated. Garnish with the remaining 1/2 cup basil and season with salt and pepper. This recipe had rave reviews on her site, and the sauce actually seriously tastes so decadent. Don’t be intimidated by the long steps.. try it!